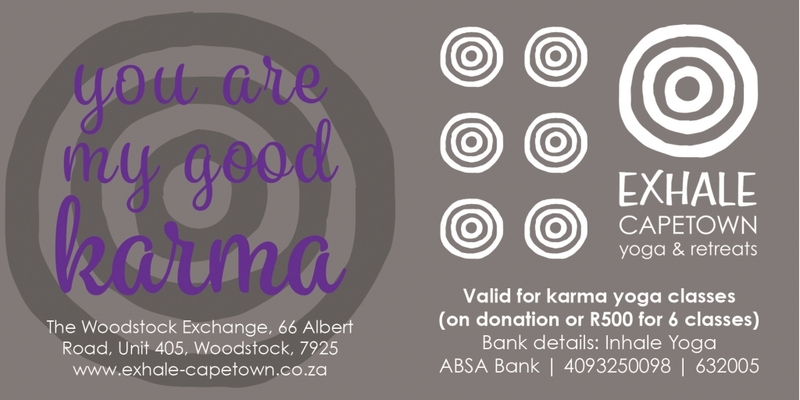 INHALE Karma yoga, selfless service is an essential part of Exhale’s philosophy. An essential part of our philosophy is to give back and to serve the community. That’s why we are setting up a non profit organisation INHALE karma yoga which promotes our work in townships. 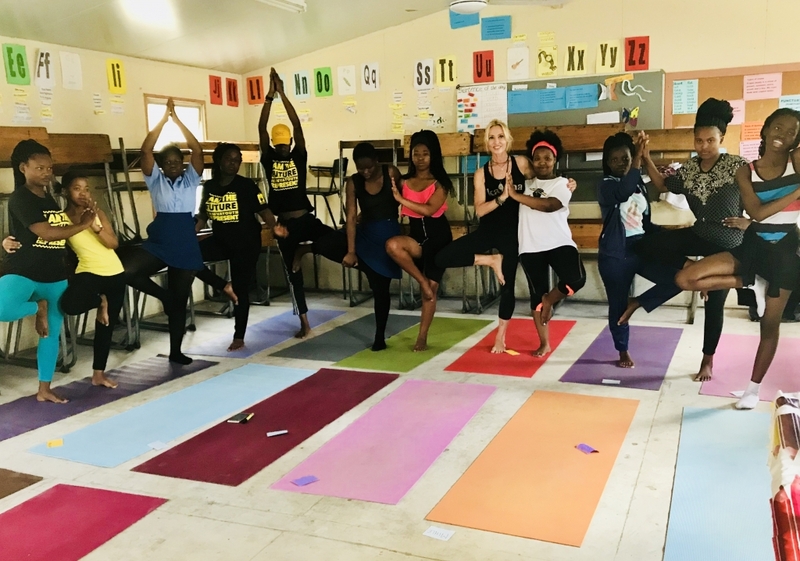 Currently Isabelle teaches yoga to a group of teenagers in Masiphumelele. These teenagers will join the karma yoga classes (on Tuesdays) every second week at our studio. 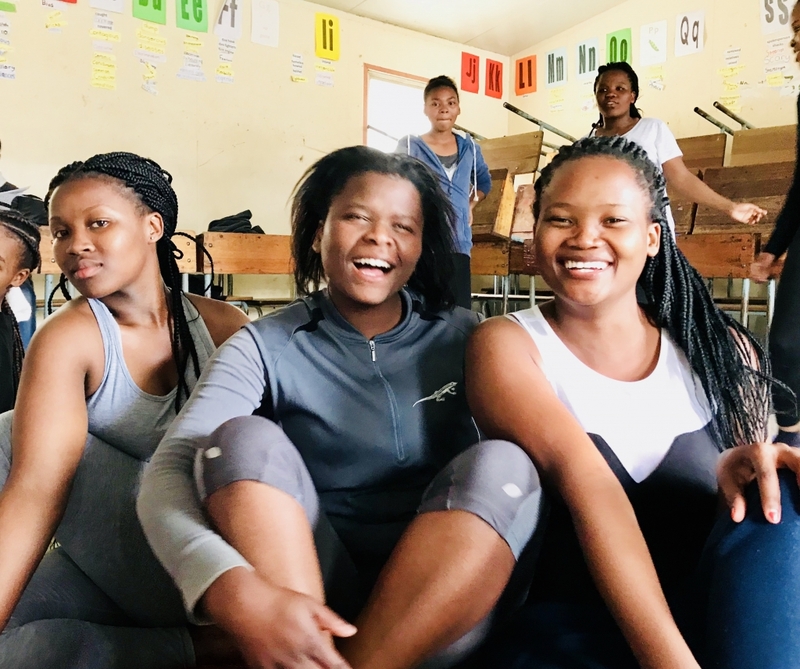 Part of our Inhale program are karma yoga classes based on donations to finance transport, mats and food for the learners. Every Tuesday, a weekly karma yoga class (Pure Flow Vinyasa) will be taught from 5.00-6.00 p.m at the studio. This class is based on donations.